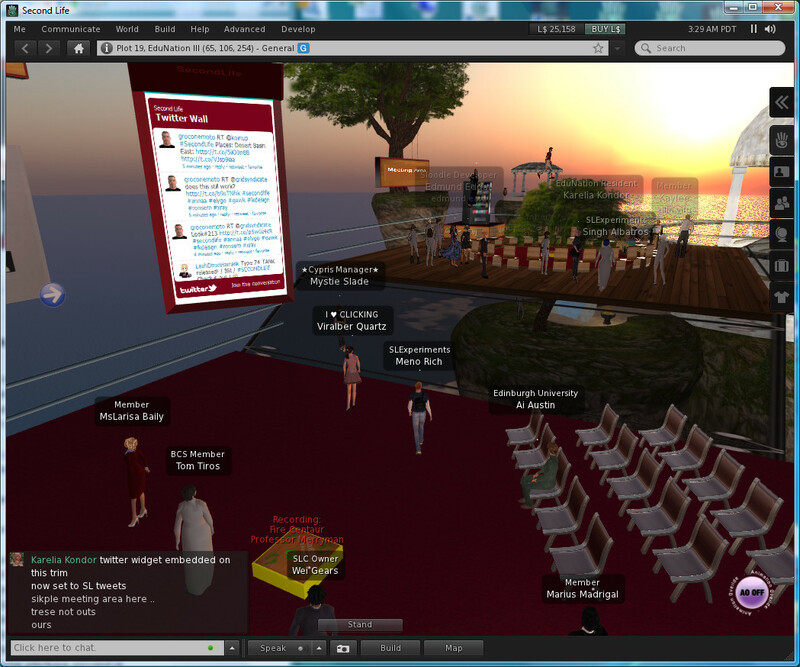 I attended a briefing about the new SLoodle 2 toolset on the EduNation III region of Second Life on Sunday 18-Sep-2011 by Paul Priebsch (avatar name: Fire Centaur). About 30 other educators were there. The new toolset assumes a viewer that can support shared media a.k.a. media on a prim (MOAP). It currently runs in Second Life, and will soon be ported to OpenSim. It works with Moodle 1.9.x. In Moodle 2.x the quizzes may not yet function correctly, but most of the rest of the virtual world side set should. 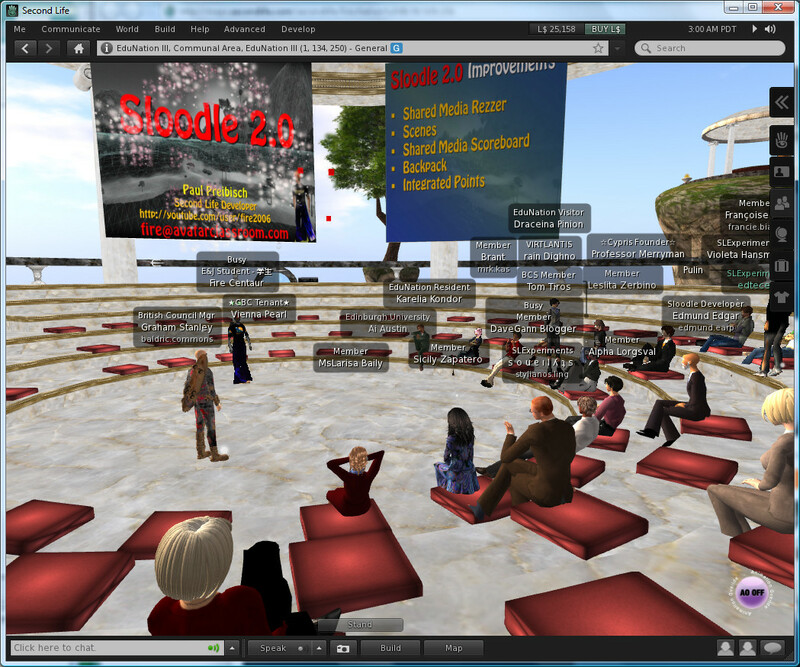 A feature of SLoodle 2 is the ability to set up “scenes” an rapidly rezz them in and around a classroom for a lesson, and then tidy them away so the ability can be re-used. The quiz chair can be set up to give rewards to students, or “penalise” them for failure… including dumping them in a shark filled pool with realistic screams!